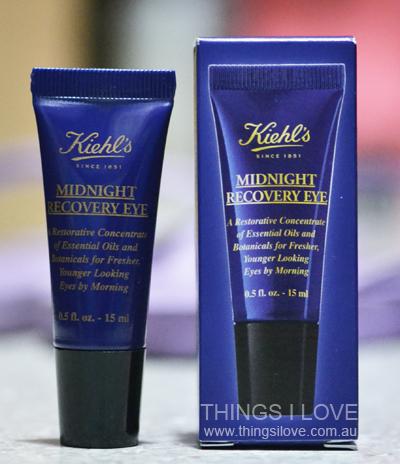 Back in late January, Kiehl's launched it's latest product, the Midnight Recovery eye cream. I had the opportunity to use the product for the last month and now it's time to share with you my thoughts on it. Designed to restore your peepers while you sleep at night, this light yet emollient cream is scented with calming lavender essential oil. It is rich but not heavy and easily sinks into skin without any stickiness or residue (remember to use a gentle patting motion to get the product into skin) - something that I always look for in my skincare as I find the sticky feeling uncomfortable. The emollient feel comes from the evening primrose oil and squalene (unfortunately, those with seafood allergies will need to avoid this product) as well as shea butter, sunflower and jojoba oil. Results are immediate and longer term. Instant effects like well hydrated and plump skin under the eyes help to reduce the dry and fine lines. The next morning after use, I also notice that my eyes are less puffy, even if I'd not slept well the night before. My dark circles also appear to be slightly fainter after a week's use. Over the course of the month, I have to say my skin around the eye is soft, supple and moist and puffy eyes no longer plague me in the mornings. For well hydrated skin in your delicate eye area, Kiehl's have provided a beautiful solution with the Midnight Recovery eye cream. It's no wonder the product is a winner and currently sold out on its online store. Available now at selected Myer, David Jones stores and online. Had no idea about the seafood note, very interesting. I've been enjoying using this, I really like the smell and the way that it sinks in quickly. Emma, I only knew about it when my work colleague who suffers from it told me about it. 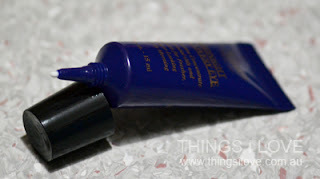 @zoeeangelaa - you should head to Kiehl's counter and get a sample. @Omega - you will love it!